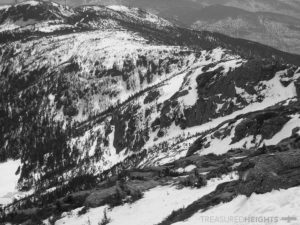 The Northeast has some incredible lines and powder skiing on good years as well as some truly wild summits. Some of the nation’s best skiers came from the Northeast including Chris Davenport, Dan and John Egan and other pioneers of peak skiing going back to the 1920s. 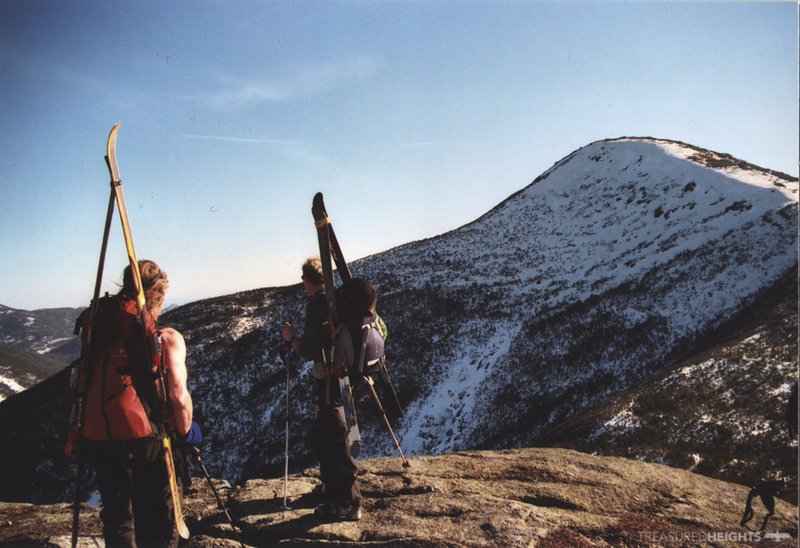 Some peaks in the Northeast have vertical drops of over 4000′ and lines with as much exposure as Colorado 14ers. The peaks hide their full beauty from the millions of summer tourists that drive through them because the best terrain is far from the road and trees block visibility from roads. To experience the Northeast your really have to get into the backcountry. The peaks fluctuate between deep pow and ice of the worst kind. Ski areas here are often icy while powder can still be found in the backcountry. Backcountry skiing in the region is far more difficult than the entry-level backcountry in the west. Skiers should master tight tree skiing and handling variable conditions including tough crusts before getting out here. 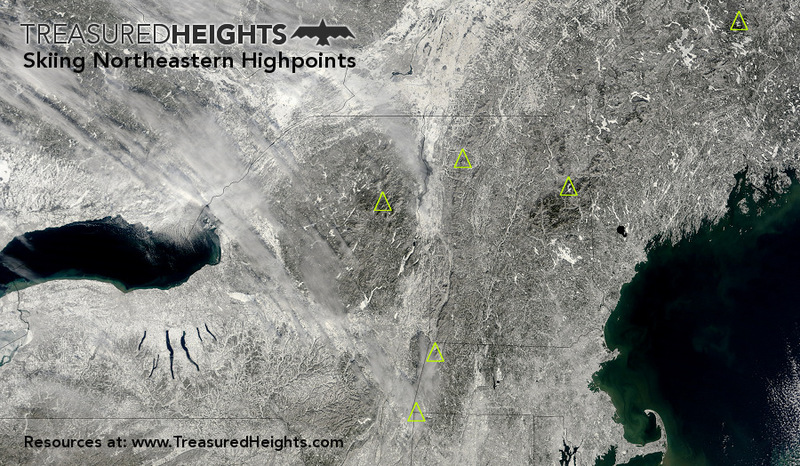 Above: Northeastern skiers prepare for an Adirondack descent Below: NASA imagery of the Northeast during winter. 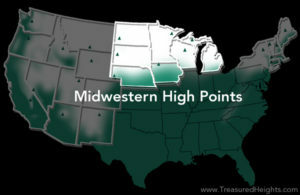 Example of High Point Short series videos (1-4 min) on each high point. Below is Mount Greylock, Mass. 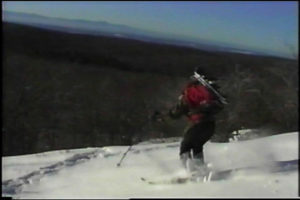 The 2001 video is from the first phase of the Skiing States project which was to ski the Northeastern highpoints from 1998-2001.